By participating in QUEST, you join an active global community of industry-leading professionals and businesses. Get connected before, during, and beyond the conference to grow your network by joining the online conversation! You can also promote your participation in QUEST 2012 by adding the web badge to your website, blog, or social media profile. 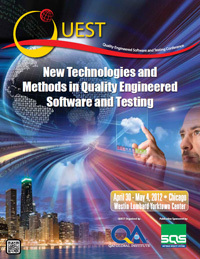 Registered for QUEST 2012? Be sure to join the LinkedIn event to connect with fellow attendees! Network with peers before, during, and after the event as part of the QUEST Conferences LinkedIn Group. Community discussions, important news, job postings, and more are shared!